It took me a long time to use the word “Y’all”. I was adamant. It was significant to me. I wasn’t southern. I couldn’t be … although I was born in Texas and spent most of my life in Alabama. My parents are from California, San José, nonetheless. This is why I don’t have a southern accent. In my mind they “converted” to being southern and took my siblings and I along with them for journey. I wanted to be different from the great number of people in the south which I imagined to be close minded. It’s not that Montgomery, Alabama, was the worst city to be in, just that I longed for something different. I decided I wasn’t going to allow the parts of myself I didn’t like to show themselves. But, it’s not a choice. Where we’re born, that is. It’s something we learn to accept. Overtime, “Y’all” became a habitual phrase that gave me an out-of-body experience every time I said it. The cringing was very slow to recede. A year ago, just before my 18th birthday, I moved to Atlanta, GA for work. It felt like coming home. I immersed myself in the LGBT community and only thought of my hometown when I visited for holidays. 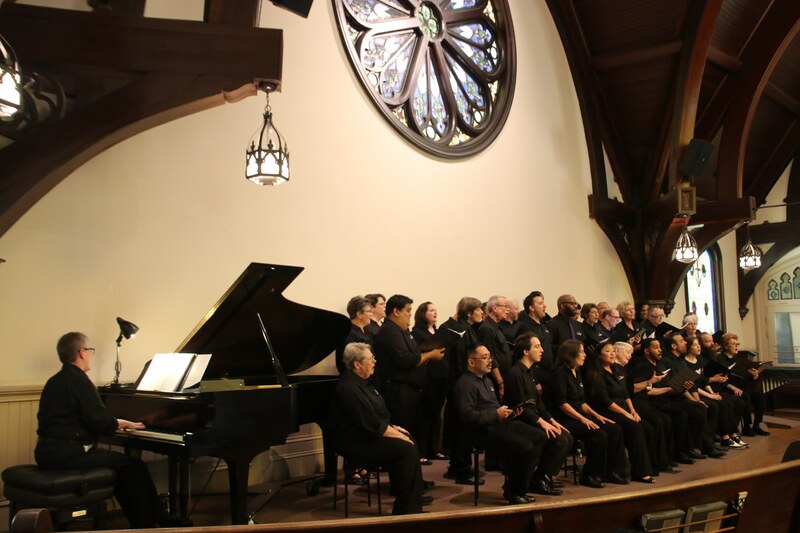 I am serving the LGBT community in my counseling work, I am in an affirming church, and I am in OurSong, Atlanta’s LGBT mixed chorus. My every waking hour is LGBT-ified. I didn’t choose the rainbow-life, it chose me. Here in Atlanta, I am “free” of small towns. I’m in a progressive city. This is the story of many LGBT people. We go to the strongholds. We flee from the front lines. Not because we’re weak, but because we feel tired. We’ve been through a lot. We long for a sense of security and most of all, freedom. Our tour brought me face to face with this reality. At the first stop in Macon, Georgia, we were welcomed by a friend of the chorus who is out as a Trans-man (let me say again, out in “middle Georgia”!). At our second concert of the day, in Augusta, Georgia, I met a couple who moved there from Los Angeles. A move like that takes bravery and confidence in oneself, I thought. The more out-going man of that couple in Augusta was Latino. He and I shared a few words in Spanish. Just a few words, because I am still learning. He told me, “I give Spanish lessons!” which I was pleased to hear. What a great resource! I was reminded of my roots. And that I feel disconnected from them. I tell people, stammering, “I’m Mexican… But, not really. I’m half Mexican; it’s my Mom who’s really Latina… But she was born in California; my grandma was too. My grandpa came from Mexico. And we don’t really know any of our family there.” Maybe I have identity issues. I’m Latino, but I don’t know Spanish very well (yet). I’m Gay but I’m Southern. By the audience’s generous thanks before and after the concerts, I know we made an impact. But, I bet they had an even greater affect on us. I, for one, am inspired by the LGBT people who decided to reside where they have always lived or move to areas that can be hostile at times. I’ve come back to Atlanta with a greater appreciation for our awesome sense of community here. I feel privileged. My ability to be out, safe, secure, healthy, and happy in the South (as much as some Atlantans have a hard time with that word) was earned by the efforts of older Atlantans and Southerners I may never know. I appreciated this city. Atlanta has helped me to realize that I’m Gay AND I’m Southern. And that I’m proud of that. Pride is for everyone, not just the Gays living the glamorous rainbow-life in the big cities, and not just the oppressed in the rural communities. Pride is about accepting who you are, all of you. Every part of your identity comes together to make You. This is something we can all get behind and a rock we can stand on. Accepting ourselves is the first step toward appreciating the differences between all people. I’m Latino and I have British heritage, even though sometimes I don’t feel as much of a connection to the cultures as I would like. I’m Gay, well, obviously. I also happen to be Southern and I’m growing more comfortable with that part of myself everyday. And I’m a whole bunch of other things. Some things that I’m happy with and some things I don’t like as much. But, I’m proud of my story and my identity. I’m thankful for my experiences and the difficulties that were a result of the intolerance of others toward me and my own intolerance toward myself. This difficulty of integrating the various parts of my identity has made me stronger. I am reminded of that everyday. 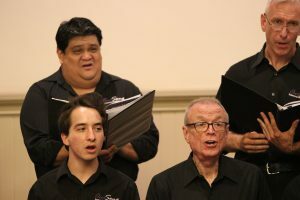 Keith Harding is the youngest member of OurSong. He is a counselor in Atlanta, GA who works with LGBT+ youth.